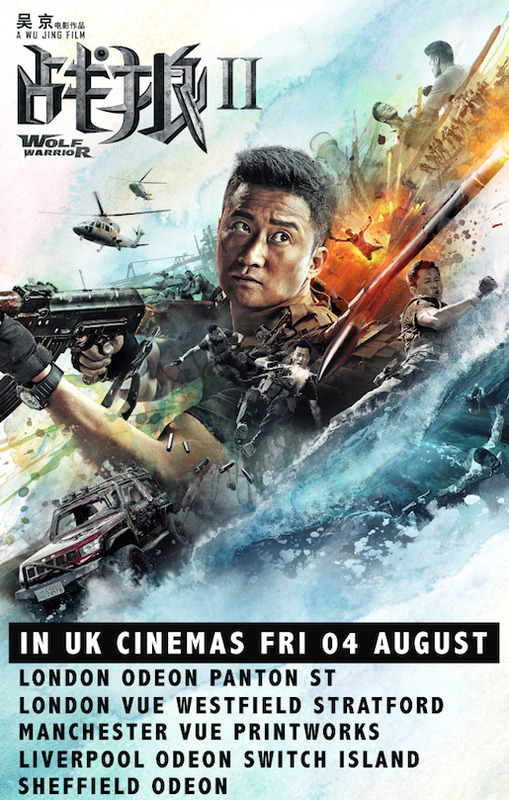 With Wu Jing starring in Wolf Warrior 2, in UK cinemas now, we look at the finest work of the Chinese action star. Already a major hit in China, action blockbuster Wolf Warrior 2 topped the worldwide box office in its opening weekend and has broken several records. It also became the fastest Chinese film to break the one billion yuan (£113m) benchmark, reaching this in 85 hours. Written, directed by and starring action prodigy Wu Jing, 2015’s Wolf Warrior was a surprise hit and boasted slick, epic and cinematic action. Now, the sequel brings a fresh flavour with world class stunts and choreography from 87Eleven Action Design, the veteran Hollywood stunt team behind John Wick, Atomic Blonde and Captain America: Civil War. This huge success has cemented Jing’s reputation as a force, and filmmaker, to be reckoned with. This modern genre classic is helmed by Hong Kong action legend Yuen Woo-ping (Once Upon a Time in China, The Matrix), who first spotted our young star. The story follows a martial artist (Jing) inspired by his heroic father to combat the violence of an opium-smuggling ring and win the girl of his dreams. If only it were that easy! Calling on his years of training and time spent as a member of the Beijing Wushu Team, Jing dominates the screen and shares a now-famous showdown with late, great British martial arts actor Darren Shahlavi (Ip Man 2), which reportedly took 16 days to film. A critically acclaimed, action-packed thriller from director Wilson Yip (Ip Man trilogy). In this all-star movie, a straight-arrow detective (Donnie Yen) reluctantly teams with a group of rogue cops to bring down a notorious Triad boss (Sammo Hung). Jing plays Sammo's ruthless assassin and shares a tense, brutal fight in an alley with Donnie, which many consider a real highlight from both stars' careers. Giving the fight tournament formula an Eastern twist, Fatal Contact stars Jing as a naive and penniless Olympic champion who agrees to try his hand on the illegal fight circuit to support his girlfriend. Thinking he can earn a fast buck and leave, he is drawn deeper underground until he can summon the courage to fight back. The film's tough action was choreographed by Nicky Li from the Jackie Chan Stunt Team. Jing trained hard to prepare for his role, received injuries and even said, at the time, it was his toughest work to date. From popular director Benny Chan (New Police Story), Invisible Target is an exhilarating, fast-paced action thriller showcasing a younger generation of action stars. A group of cops from different backgrounds (Nicolas Tse, Jaycee Chan, Shawn Yue) unite to bring down a gang of mercenaries led by a ruthless boss (Jing). The cast, well known for their physical skills, were requested to perform all of their own action and stunts throughout filming, adding to the authenticity. In a powerful criminal empire, a Triad boss (Sammo Hung), his troubled brother (Simon Yam) and a lethal hit man (Jing) work to systematically unravel their enemies, both inside and outside the organisation. Cue plenty of hard-hitting violence and gutsy action. The film presented a wealth of veteran genre stars across its cast, arguably one of the best ensembles from a Hong Kong movie. According to Jing, during fight rehearsals, Sammo would throw him friendly surprise moves to see how he would react. Despite these antics, they enjoy working together and have great mutual respect. As Jing's first foray into filmmaking, he co-directed this movie with the Jackie Chan Stunt Team's Nicky Li. Combining martial arts, action and romance, the film features Jing as an assassin who inadvertently befriends a woman after his latest kill, unaware that she is a cop. Meanwhile, criminals descend on the quiet island community looking for revenge against the mysterious assassin. This also marked the screen debut of singer, songwriter and model Celina Jade (TV's Arrow, Skin Trade), who would later reunite with Jing for Wolf Warrior 2. 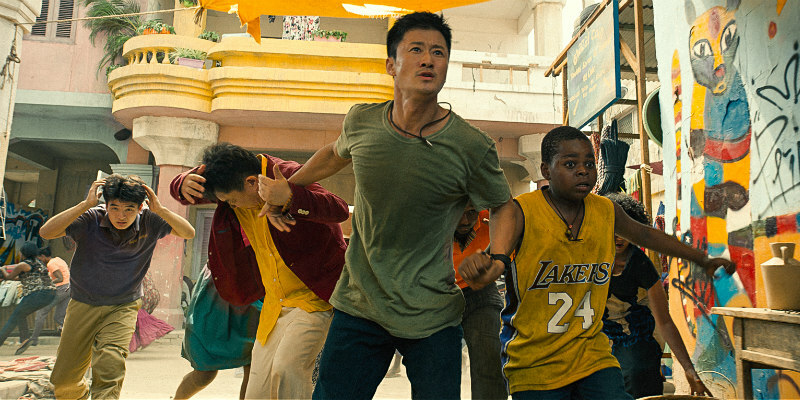 A big box office hit in China, the first Wolf Warrior, a fun throwback to larger-than-life 1980's action cinema, made an impact with Western fans too. A loose cannon special forces soldier (Jing) is confronted by a group of deadly foreign mercenaries hired to assassinate him by a vicious drug lord. In the martial arts and ballistic carnage, Jing goes toe-to-toe with the mercenary leader, played by Brit action star Scott Adkins (Undisputed 2-4, The Expendables 2). Writing, directing and starring in the film, it proved to be Jing's most ambitious work yet. A name-only sequel to Wilson Yip's gritty original, SPL II takes an entirely new story with returning cast members Jing and Simon Yam (Election) playing different characters, plus new cast additions Tony Jaa (Ong Bak) and Max Zhang (Ip Man 3). Combining a tight script with great action, and the cops and criminal themes of classic Hong Kong cinema, the film was well received by fans and critics alike. Following the success of the original, this proved to be an even bigger hit, breaking global box office records. Reviving the character with a fresh new story, the heroic 'Wolf Warrior' hopes to settle into a quiet life by the sea. But after he crosses paths with a new band of mercenaries, overseen by a volatile and sadistic leader (Frank Grillo: Warrior, Captain America: Civil War), he must reaffirm his duty as a soldier and put an end to the terrorising of innocent civilians. As the action movie event of the year, Wolf Warrior 2 is a must-see for genre fans and hopefully marks more to come from this exciting franchise.